For her Hammer Residency, Dara Friedman prepared for and shot a new 8mm film. Friedman is best known for her film and video installations that employ techniques of structuralist filmmaking. 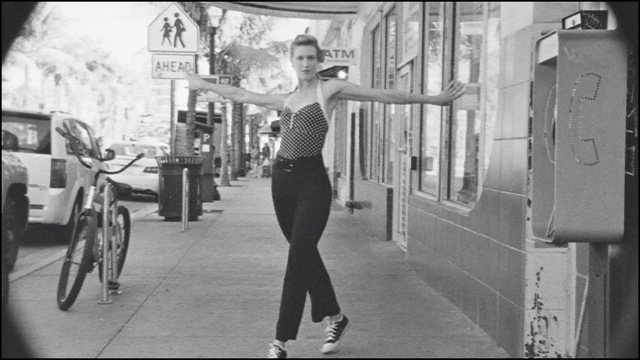 This new film is a follow up to her film Dancer (2011), which was shown for her upcoming Hammer Projects exhibition (January 19 – April 14, 2013). 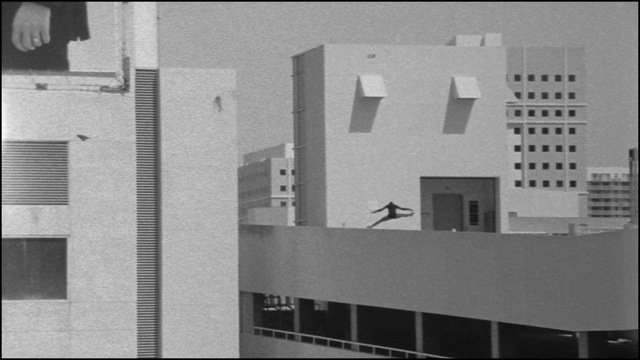 An exploration of movement, Dancer is a captivating black-and-white 16mm film that follows over 50 performers dancing through the sidewalks and streets of Miami, practicing a multitude of dance styles from ballet to hip-hop to ballroom dancing and salsa. Together with Dancer and Musical (2007-2008), commissioned by the Public Art Fund, which captured spontaneous actions orchestrated across Manhattan, the three projects form a loose trilogy exploring ideas of movement and public and private spaces. Born in 1968 in Bad Kreuznach, Germany, Dara Friedman now lives and works in Miami. Her work has been featured in solo exhibitions at the Public Art Fund, New York (2007); Gavin Brown's enterprise, New York (2011, 2007, 2002); The Kitchen, New York (2005); The Wrong Gallery, New York (2004); Kunstmuseum, Thun, Switzerland (2002); Museum of Contemporary Art, Los Angeles (2002); Miami Art Museum (2001); and SITE Santa Fe, New Mexico (2001). Friedman attended University of Miami, School of Motion Pictures (MFA); The Slade School of Fine Art, University College, London; Städelschule, Frankfurt am Main, Germany; and Vassar College, Poughkeepsie, New York.